Does anyone else swop their wardrobe twice a year? I don't mean just stopping wearing summer dresses and skirts and starting to wear jumpers and cosy cardigans, I mean physically packing away one season and rediscovering a whole new wardrobe. This is a fairly accurate representation of my wardrobe, messy, unorganised and well, I just can't find anything so I also take the opportunity to have a clear out of items I no longer love, are a bit tatty or no longer fit. I literally drag everything out of my wardrobe and chuck it all on the bed. At the end I go through the unsure pile again and try and make a decision, the kind of stuff that is in this pile usually is clothes that I love but haven't worn in ages. The keep pile is moved to the loft and the whole process starts again with the "new season" wardrobe that is moved down from the loft. Now this is the fun part, when I bring down the clothes that have been stored away for 6 months or so, it really is like having a whole new wardrobe, I find things I forgot I had, can start outfit planning with old and new clothes. It really is the ultimate shop your own wardrobe. This swop over also allows me to see what gaps I have in my wardrobe, I tend to make a list on my phone of items I'd like for the new season, this helps me when I go shopping and hopefully stops too many impulse buys. 1. Get everything out in a big pile. 2. Create five piles. Keep, eBay, Charity, Bin and undecided. 3. Be ruthless, if you don't love it can you sell it? is it ok for a charity bag? Anything that is ripped, stained or damaged - bin. 4. 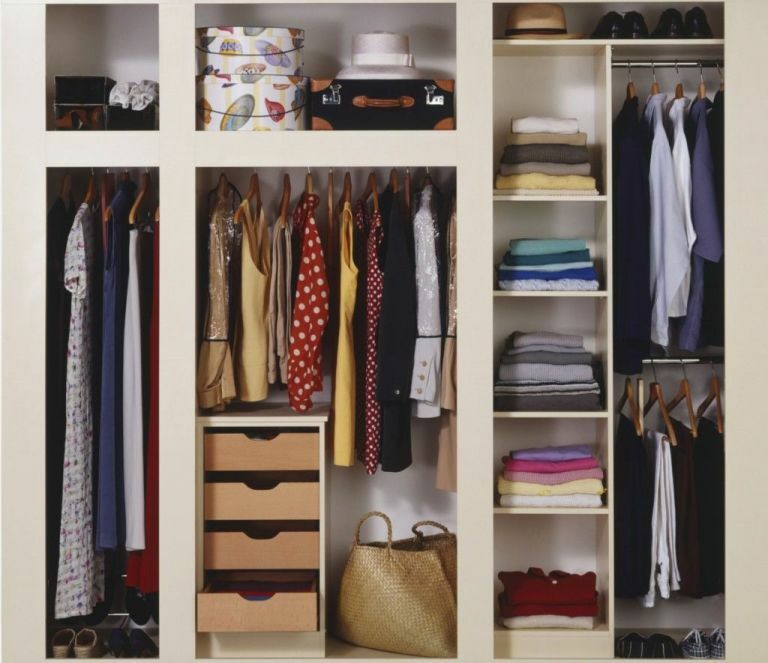 Organised your wardrobe into sections. I have sections of trousers, skirts, jackets and tops. this makes it much easier to see what you have. 5. Knitwear and t-shirts are always folded. 6. Make a list of what is needed, for me this season its a couple of oversized bright coloured jumpers like this one..
One item of clothing I definitely don't need any more of is grey jumpers, seriously how many grey knits can one girl have? Do you swop your wardrobe like I do? I hope my tips have been useful.